Memory is a powerful thing. So it has been said. Memory serves me well here. I recall having seen one of those afterschool specials which featured a girl in high school who sang the song, Memory from CATS. There is something so moving about that song, but seeing it in context can be heartrending. It turned out that after seeing this “special” on TV, CATS came to Syracuse on tour. The song and the concept of the musical interested me and so I begged my parents to go. We sat in the balcony of the Landmark, but even from there, the play captivated me. The character of Grizabella, the faded beauty, who longs for acceptance moved me to tears. Don’t we all wish to belong and be among friends? The memory of better days and what she’s lost only adds to the gravitas of the song she sings. Her lonliness resonated with me at the time for I was still coping with having transferred to a new school and missing the friends left behind. Not that the whole play is melancholic. It’s really more about celebrating. Cats of different stripes–and calicos–have gathered in a junkyard to celebrate the Jellicle Ball, where one special cat will be called to a new life. We are introduced to an array of character-types, cats all. However, these cat personalities could be a stand-in for human ones. The music and dancing are superb. This is Andrew Lloyd Webber at his best. It currently reigns as the second longest running musical on Broadway. After seeing CATS the first time, I sought out the source material: T. S. Eliot’s Old Possum’s Book of Practical Cats. It’s amazing to think how these whimiscal poems could be turned into a story with music. Although, when I later used a couple of the poems in forensic competitions in high school, I found it difficult to separate the music from the words. 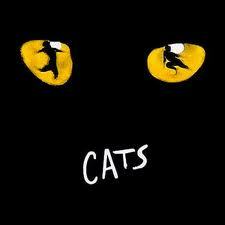 Most importanly, CATS introduced me to a love of theatre that remains with me always.